I haven't finished another book since the brilliant one I finished over lunch break today. In fact, I just picked up the next one to start. All I've done is crack the cover. That was enough to send me running here, brimming over with how much I love books. This blog has been such a great exercise for me. Not only taking the 52-week challenge, but forcing myself to log my thoughts on those books has been great. I've put a lot more thought into the literature as I am reading it. I'm excited to be at the end of February and actually a week ahead in the challenge! And, now that I'm finally getting around to re-reading the Hunger Games set I got for Christmas, I'm sure I'll pick up the pace even more. However, while so far this post has been a great update on my status in this challenge and how much I'm enjoying blogging, those aren't the reasons I logged on to write this. 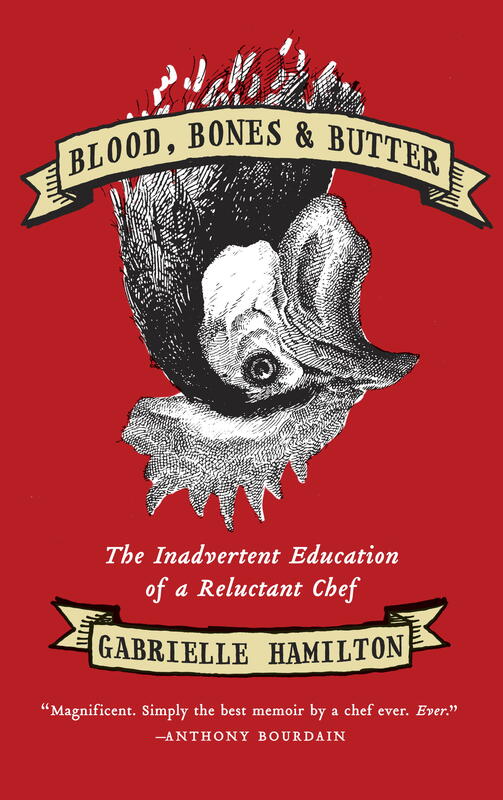 Garbrielle Hamilton brings a unique voice to the genre of chef memoirs. Having read two of Anthony Bourdain's books last year, I was expecting something more along those lines: graphic descriptions of the underworld of cooking. Hamilton took me by surprise with an entirely different route and one that I found altogether more pleasant than Bourdain's approach. Kevin and I are diligently trying to prepare for pre-martial counseling by reading a few books together. This was the latest in that line-up. I had read this book in high school, so it was a re-read for me. John & Stasi Eldredge are a husband and wife team who teamed up to write this book as a follow up to John's best-seller Wild At Heart. The book is an examination of what it means to be a woman, from the Christian perspective. As promised, I finished up my next historical read. 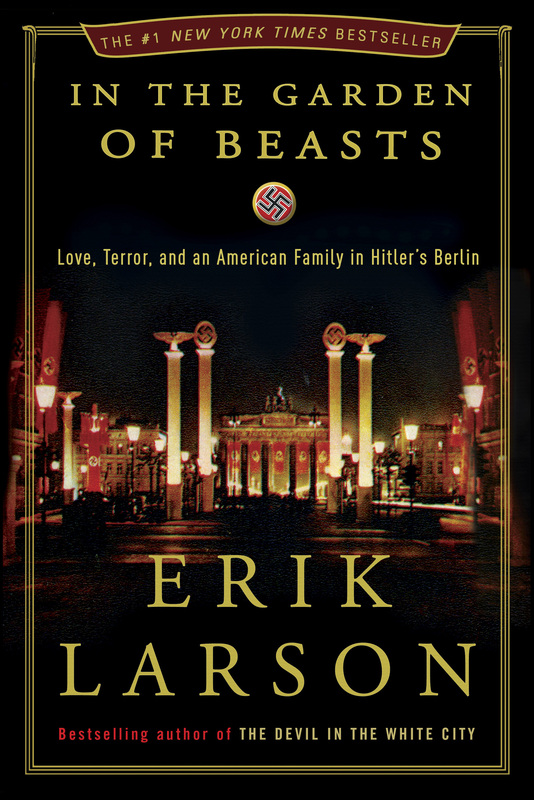 This one, just like The Devil in the White City, is written by Erik Larson. This work focuses on the story of American Ambassador Dodd and his family. They were posted to Berlin in the years during Hitler's rise to power. If you like Nazi history, this book is a fascinating read with lots of "behind-the-scenes" facts regarding how prominent Nazis were in the years before WWII. I know that I said my next adventure into fiction would be Hunger Games. However, I had put this book on reserve through the library and it became available, so Hunger Games got reshuffled again. Do not get me wrong; I love the Hunger Games series. It's phenomenal. But so is this book. In fact, it remind me quite a bit of Hunger Games, but still was different enough not be called a copy cat. I really didn't think I was going to stay on track with the book-a-week goal this week. It's a crazy week at work and the evenings have been filled with French homework (another endeavor to better myself this year). Thankfully, my wonderful little small town library offers eBooks which I can check out on my iPad. Due to that avenue alone, I was able to finish Erik Larson's historic thriller. And it's only Thursday night. Wow. So good. I definitely see now why my cousins said this one was their favorite (at least until the fifth book). If the fifth book is better than this, I cannot wait to get to it! 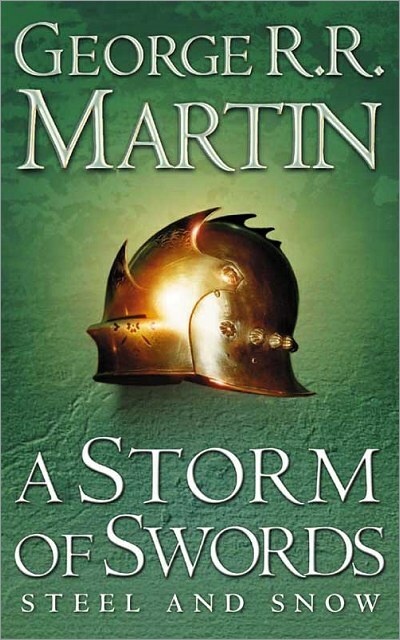 A Storm of Swords picked up where #2, A Clash of Kings, left off. After Kings, I had been feeling a little unsure. The series is great, of course, but I thought that maybe Martin's sophomore slump would continue into Swords. I could not have been more wrong. 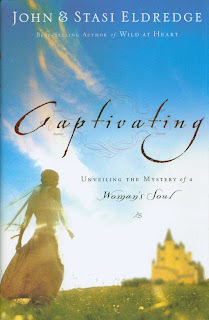 He picked up the story with the same fervor and excitement that I loved in the first book. Before you head over the break, here is your official SPOILER ALERT!